Mr McLean trained as an ophthalmologist in the South East, including Higher Surgical training at Moorfields Eye Hospital. 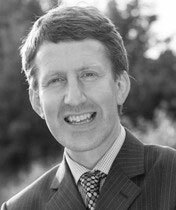 He completed his Fellowship in Oculoplastic and Orbital Surgery at Moorfields and then took up his Consultant Ophthalmology post at The Royal Surrey County Hospital in 1999. He now spends his time building up the Oculoplastic (Eyelid) Service at The Royal Surrey. He also divides his time between cataract surgery and general ophthalmology. Mr McLean is keen to train the next generations of ophthalmologists at The Royal Surrey, as well as helping to run the Surgical Skills Programme at The Royal College of Ophthalmologists headquarters in London. He is also a trainer for the National Cosmetic Surgery Training Programme, which is held at The Royal Surrey. Mr McLean enjoys hill walking with his family as well as canoeing, golf and painting.